Finnish Prime Minister Jyrki Katainen formally stepped down from office yesterday (16 June). He is expected to take the post of European Commissioner from 1 July, when Finnish Commissioner Olli Rehn will take up his MEP seat. Foreign Minister Alexander Stubb was designated to replace Katainen as Prime Minister. 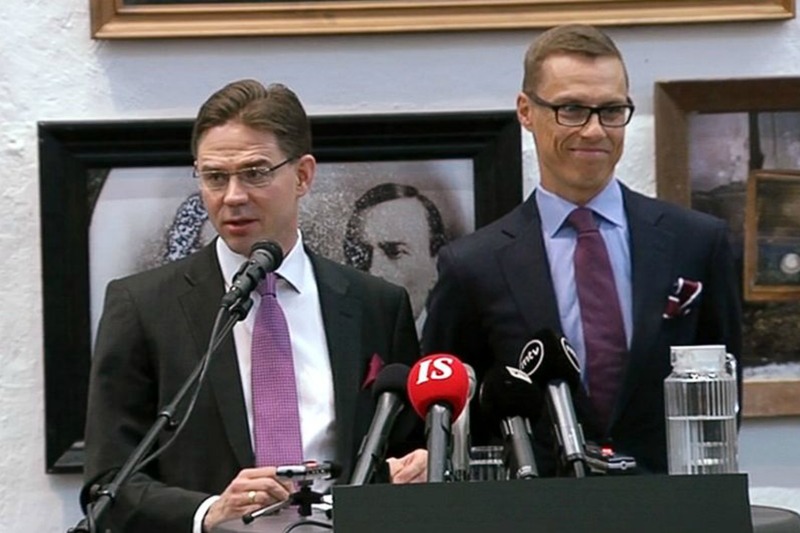 Katainen formally stepped down from office and offered his government’s resignation to President Sauli Niinistö Monday, the Finnish press announced. Niinistö accepted the government’s resignation and asked it to continue as a caretaker administration until a new cabinet is appointed. Heads of parliamentary groups and party leaders convened in the Parliament on the same day to nominate representatives for the government reconstitution talks. Party leaders are expected to lead the discussions, setting the stage for prime minister-designate and newly-elected National Coalition Party head Alexander Stubb to spearhead the negotiations on behalf of the party. The National Coalition Party (Kokoomus), to which both Katainen and Stubb are affiliated, is a member of the European Peoples’ Party (EPP) political family. Katainen, 42, makes no secret he is interested in a top EU job, ideally that of Commission President. Last April, he said he would resign this summer after three years in office, and was available for EU or international roles [read more]. He recently said he was hoping to obtain an “interesting” portfolio as Commissioner. Katainen will take up the Finnish seat in the present Commission and stay on as Commissioner in the next EU executive. Commission President José Manuel Barroso will need to reshuffle the Commission by the end of this month, when several commissioners from the seven who ran for European elections are expected to take up their MEP seats. Commissioners who would take up their MEP seats will be replaced by nationals of their countries, unless the member states decide otherwise by unanimity. But Barroso could assign the new commissioners portfolios other than those of their national predecessors. Stubb, 46, is currently Minister for Foreign Trade as well as for European Union Affairs. He is known as a sportsman, a polyglot and a twitter champion. Since the Ukraine crisis erupted, Stubb has stepped up his long-standing support for neutral Finland joining the NATO alliance. However, opinion polls show only one fifth of Finland’s 5.5 million people agree with him. Finland shares a 1,300 km border with Russia, which is strongly opposed to enlargement of the Atlantic alliance.